“We didn’t know he was living with it for 8 years. It started with fever and cough, and now his body can’t make enough blood to keep him alive. It’s so debilitating that with each day, a different part of his body is being affected." When 18-year-old Manjunatha looks in the mirror now, he notices himself slowly becoming unrecognisable. The class 11 student was a sickly child, but when all his reports were normal every time Vrindamma and Maralasidappa took him to the doctor, they didn’t think much of it. 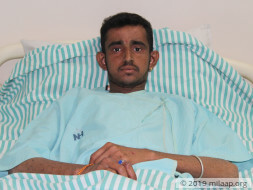 His parents have now learnt that their son has a rare disorder that is not only slowly killing him, but also increasing his risk of developing other life-threatening diseases if left untreated. 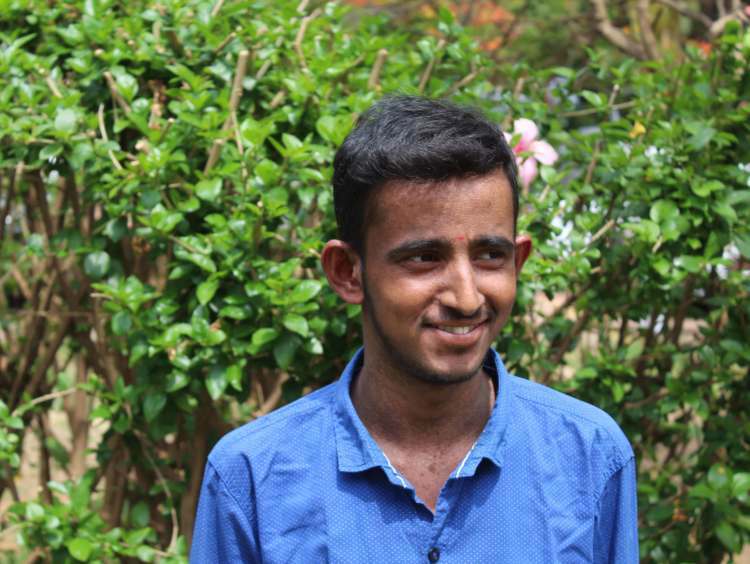 Ever since he was just 10-years-old, Manjunatha would feel an unexplainable tiredness every now and then. After a few days it would go away, but never permanently. Every time Maralasidappa took him to the hospital near their village in Davanagere, the doctors said his fever would subside in no time. However, 6 months ago, Manjunatha’s condition became worse when he came home from school, gasping for breath. Manjunatha has Dyskeratosis Congenita, a rare genetic disorder that not only affects the skin and nails, causing irregular skin pigmentation and premature ageing but also causes complete bone marrow failure. Manjunatha’s body can’t produce new blood cells anymore. Without treatment, his parents’ worst nightmare is close to being realized. 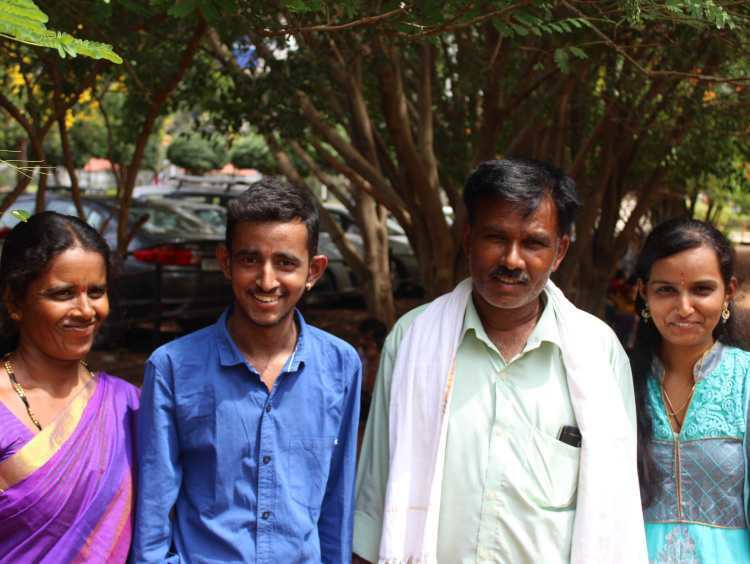 A bone marrow transplant can save Manjunatha, but Maralasidappa and Vrindamma still can’t breathe a sigh of relief. Despite toiling away on the fields, day in and out, they can’t even afford the next checkup without knocking on the doors of their neighbours and family members. Manjunatha’s questions about when he’ll be alright again are only met with silence now. 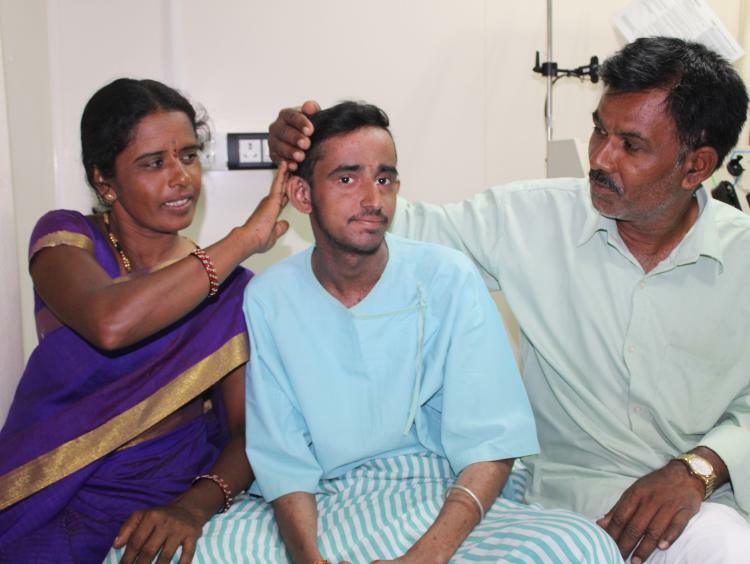 Manjunatha’s rare genetic disorder is worsening his condition each day. 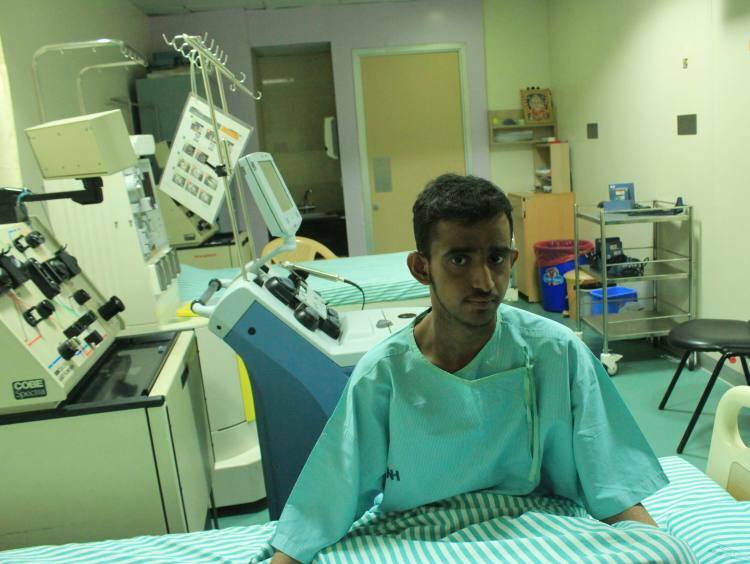 Manjunatha can stop living a life of pain and fear with a bone marrow transplant. It can save his life, but his parents can’t afford to give him the life-saving treatment. 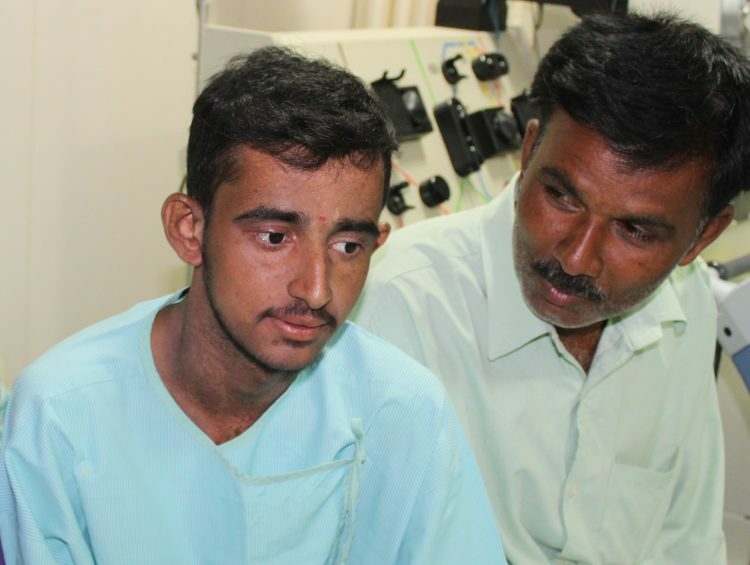 You can help Manjunatha get the timely treatment he needs and save his life. Manjunath is showing signs of recovery post transplant. He has been discharged for now but has to keep visiting the hospital for post transplant follow up. We will keep you posted on his condition further. 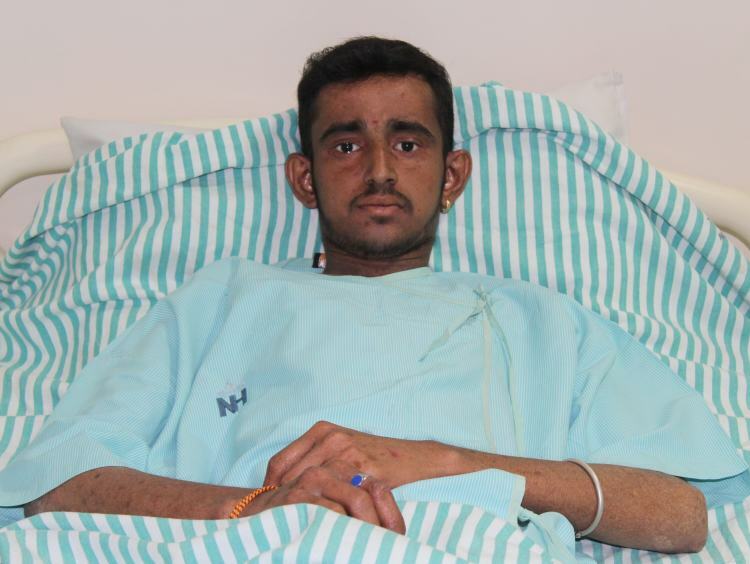 Manjunatha underwent chemotherapy sessions which was followed by a Bone marrow transplant. His transplant was successful and his sister was the donor. As of now, he's doing well but he has fever. He has been suggested by the doctors for regular follow-ups.